A week or so ago we discussed the upcoming Firefox OS from Mozilla, due later this year. We said that contrary to widespread belief Mozilla would not be coming up with the actual devices that will run the Firefox mobile operating system and that the first hardware was likely to come from ZTE. 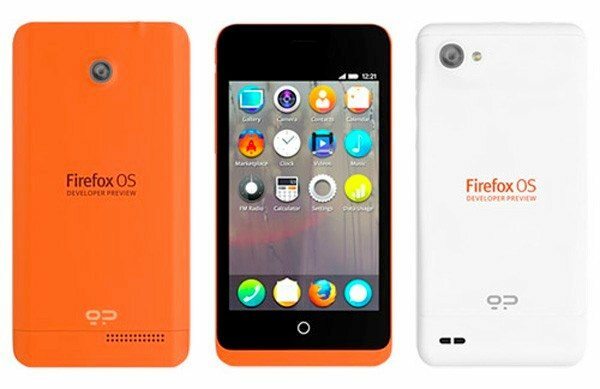 Today we have heard that although Mozilla has said it won’t be launching its own devices that will hit the market running Firefox OS, the company has produced two official developer devices for the Firefox OS, dubbed the Peak and the Keon. These will be used for further testing of the HTML 5-based Firefox OS but are not the same as the ‘mystery’ phone seen running the OS at CES. Firstly there’s the very basic Keon, powered by a 1GHz Snapdragon S1 processor and including a 3.5-inch HVGA display, 512MB of RAM, 4GB of internal storage (expandable via microSD) and WiFi, 2G and 3G antennas with a 1580 mAh battery. It also has a 3-megapixel rear camera but no front-facer. The Keon comes as a very brightly-colored orange handset that will certainly wake you up in the morning. This unlocked phone will be available to developers next month although the price has not yet been revealed and Mozilla also promises developers OTA updates. The Firefox OS is aimed, initially at least, for phones in emerging markets so will be at the budget end. You can see more on the Keon and Peak Firefox OS handsets at GeeksPhone here. What are your thoughts on these developer preview phones? Do you imagine that the Firefox mobile OS could take off and are you looking forward to seeing more? Let us know by sending your comments.